Gautamiputra Satakarni is a 2017 Telugu, historical film produced by Saibabu Jagarlamudi & Y. Rajeev Reddy on First Frame Entertainment banner and directed by Krish. Starring Nandamuri Balakrishna in title role and music composed by Devi Sri Prasad. The film is based on life history of 2nd century CE, Satavahana ruler Gautamiputra Satakarni. 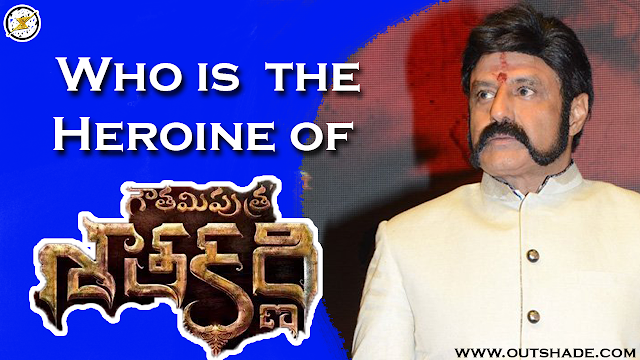 The film is a prestigious project to Nandamuri Balakrishna as his 100th film. There have been a lot of speculations and guesses on who will be the female lead in the film. Nandamuri Balakrishna has been in the USA from the past few days and stated a couple of days back that he will be celebrating his birthday which is on June 9 with his fans in the USA and also added that he will be revealing the film Gautamiputra Satakarni female lead. Keeping up his promise, the star has finally stated that Shriya Saran will be playing the female lead in the film in the role of a queen. This film will hopefully bring back Shriya Saran the old glory that she once enjoyed.